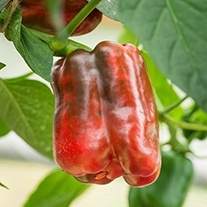 Pepper Seeds delivered direct by D.T.Brown seeds. 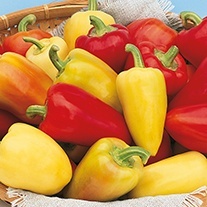 Sweet peppers and chillies (or 'chilli' peppers) have probably been eaten since 7500BC, and are thought to have originated in Mexico, although we don’t know for sure. 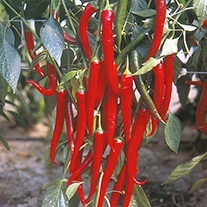 Nowadays about 90% of all cultivated forms of chillies are of Mexican origin. 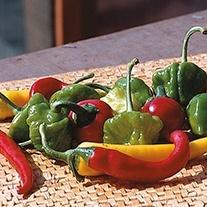 The Jalapeno chilli takes its name from Jalapa, the state capital of Veracruz. 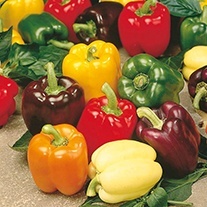 Sweet peppers are also known as bell peppers, especially in the USA. 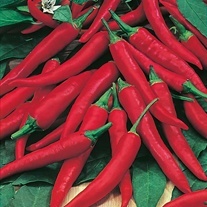 They are 'sweet' because, unlike chillies, they contain no or minimal capsaicin, which is what gives chillies their 'heat'. 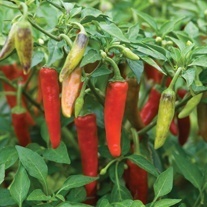 Originally grown in Europe as curiosities in Iberian monasteries, the monks began to realise the chillies' pungency made them a good, and much cheaper, substitute for black peppercorns (Piper nigrum), which were extremely expensive. They probably made it to Asia with Portuguese traders heading to India and other countries on that continent.. Almost fill a seed tray with moist seed compost. 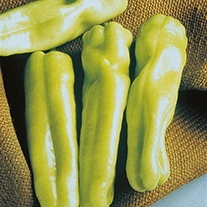 Sow seeds thinly over the surface, and lightly cover them with a little more compost. 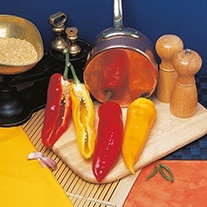 Place in warmth 18-25°C/65-75°F, and keep moist. 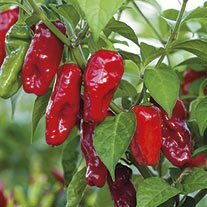 Keep seedlings in a light position, but shade from bright sun. 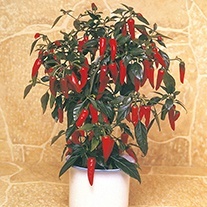 When large enough to handle, transplant singly into small pots. 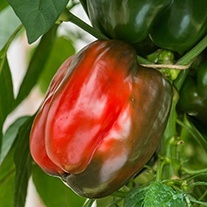 Grow on in a minimum temperature of 15°C/60°F. 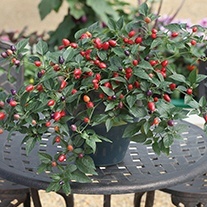 Plant into growing bags, large pots or the greenhouse border when the first flowers have opened. 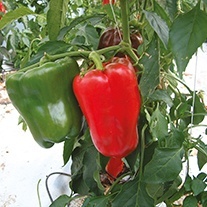 Water regularly and feed with liquid fertiliser as fruits begin to swell. 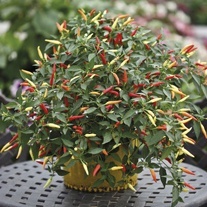 There is usually no need to pinch out the growing tips, as plants become naturally bushy as they grow.